← Technology vs. Teachnology: eLearning in moderation? I find edmodo constraining. The digital interface is limiting, ugly and the passwords inhibit parent involvement. All the features you discussed I can get via a blog, socrative, collaborize classroom and star quiz. Quick question…how do you have students complete the quizzes if they cannot access them on a mobile device? Are they able to complete a quiz using the full site on their iPad? Another way? I have iPod touches and cannot have students take a quiz on them using the app. I appreciate hearing about your experiences with Edmodo in the field. I have been using Edmodo this year with computers and am now just starting with iPads. Last year I used several different platforms – Blogger, Collaborize Classroom, Learnboost, Testmoz, Wallwisher. Although this was successful, I like having everything in one place this year with Edmodo. I also like how students can work more independently especially turning in their work and posting without assistance. Last year this was a bottleneck for me with 238 students. I also agree that allowing students to practice communication skills in a controlled environment is so important. With Edmodo, it is fairly easy to take that to the next level with global connections once classroom netiquette is mastered. I’d like to add to your list of benefits the amazing community resources and connections you can make with other teachers. Thanks for sharing! I also use Edmodo but not so fully as you do. Congrats! How can ipads be used within art with secondary pupils? Great post! But you forgot to mention the most addictive thing for students – badges! While appearing to be somewhat superfluous at first, they are a great motivator. Very similar to “Xbox360 achievements”, but for learning! I have about 70 of them that I award to students for various accomplishments. Also, Edmodo is great for making project-specific groups, that may even include other students in the school you don’t teach in the classroom. I have one that is used for our online history simulation activities, and students from any other classes can join just by receiving the group code. It makes for great topic-centered communities and not just classrooms. I completely agree with the project-specific grouping as well, it’s an awesome feature! iPads are a great documentation tool and very valuable tools in facilitating reflections. In an art classroom, the iPad’s biggest advantage is its camera, which can help on building visual portfolios coupled with written reflections and evaluations, or even oral reflections captured using audio recording. An app such as Evernote seamlessly accomplishes all that! Olá! sou brasileira, conheci o Edmodo a pouco e estou fazendo pós-graduação e, educação, meu trabalho final será sobre o uso da plataforma educacional Edmodo na educação de adultos, dou aulas no ensino noturno. Meu projeto começa essa semana na escola, no laboratório di informática, estou animada e ansiosa para ver como os alunos vão interagir na plataforma, depois te conto! I was wondering if you could give more detail on how you accomplish your 1 and 2. My school got iPads this year but haven’t fully embraced Edmodo because of this problem. I’ve downloaded Notability to try but having a hard time figuring out exactly what students would need to do. Thanks! Hi Steph, I’ll create ‘how-to’ videos on an iPad to demonstrate numbers 1 & 2. When ready I’ll send you the links! I’ll try to do that ASAP! Thank you so much! The only thing not working the same way is the option to open my note from Notability in Edmodo to add to my student backpack. Edmodo doesn’t show up as an option. Do you know how to add it as an option? Sorry, can I ask where you are teaching? Are you in the USA or somewhere else? Edmodo has some great 3rd party applications that are great, but I’m not if they are available in all countries. Quizzes and Assessments are a breeze if you use the “Literatu” App. It also links in with the gradebook! Great post! What app are you using to create the video / instructional podcasts you embedded in this post? Glad you like the posts! Great post and instructional videos! I am sharing it with other teachers at my site who are emerging Edmodo users. While I see the point of the commenter who said he prefers other apps for their effectiveness or aesthetics, the benefit of having students have a single log in to access all of their classes is immeasurable! All over the DispRecorder app, too. HI – I found your post very useful, but I’m still having trouble using TypeOn with Edmodo. I saw your videos about posting the PDF to Edmodo, but how do you open the PDF from Edmodo in TypeOn. Does the PDF have to be in your library? I use my laptop to attach my PDF’s to Edmodo, but then when I open them I don’t have the option to open it in TypeOn. I hope this makes sense. Please reply when you can. It’s always easier to download things from Edmodo if you are logged on through Safari instead of the app. If you tap on an attachment it should automatically open in a new tab, from there you can tap ‘open in…’ and select the app you want it to go to. What’s up, constantly i used to check web site posts here early in the dawn, as i like to find out more and more. Great job. We are learning how to use Edmodo and hopefully we could share it with teachers in the Philippines. 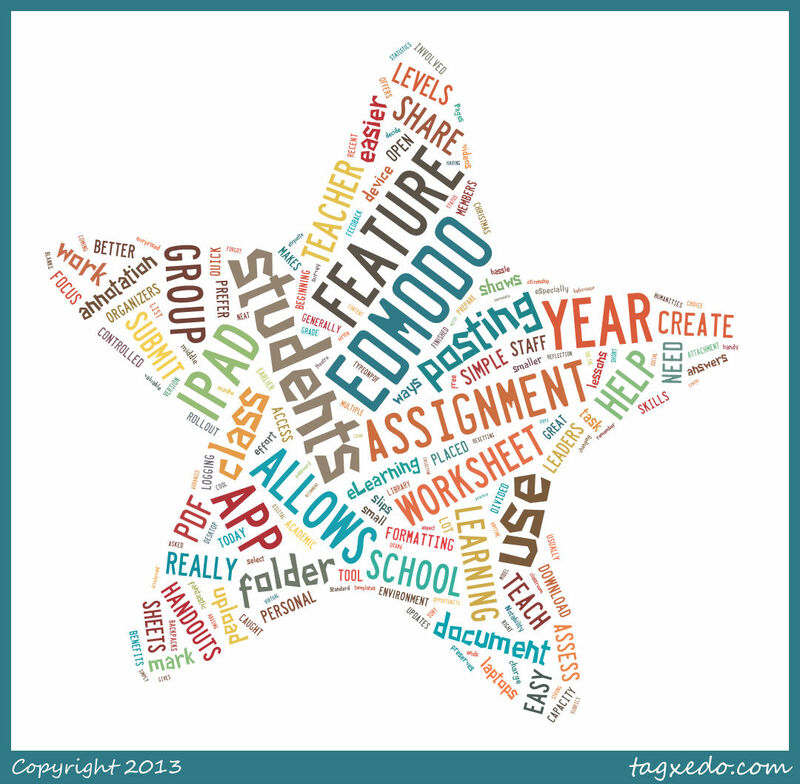 I really enjoyed reading about your 10 uses of Edmodo. I have linked directly to this page from my page on Edmodo at http://www.classroom20.co.uk. Thank you very much for sharing!